Heat oven to 350°F. Let cookie dough stand at room temperature 10 minutes to soften. Line large cookie sheet with cooking parchment paper. In large bowl, break up cookie dough. Add flour; stir with spoon or hands until well blended. 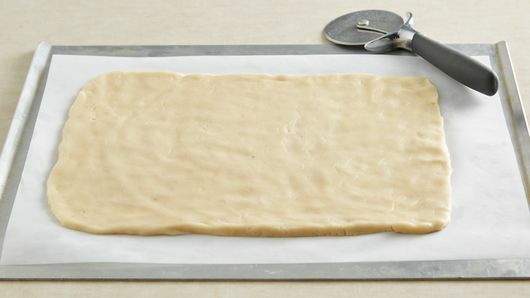 Place cookie dough on cookie sheet; press into 15x8-inch rectangle. 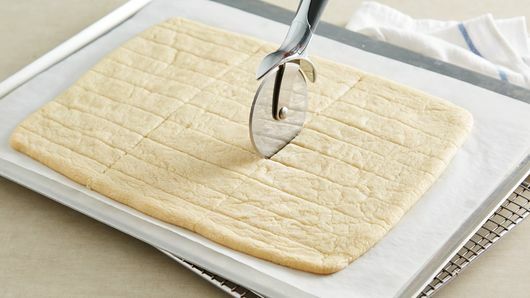 With pizza cutter or sharp knife, cut dough into 30 (4x1-inch) sticks (do not separate). Bake 12 to 15 minutes or until edges are light golden brown. Cool 2 minutes. Cut into 30 sticks with pizza cutter or sharp knife. 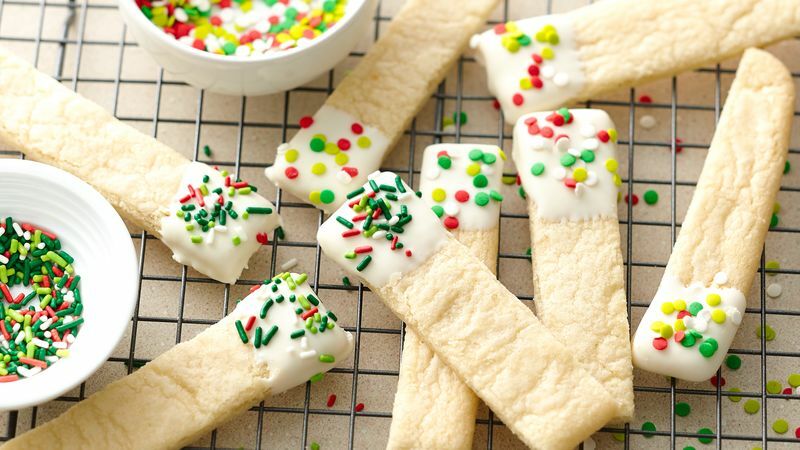 Cool 1 minute; remove from cookie sheets to cooling racks, separating into cookie sticks. Cool completely, about 20 minutes. Meanwhile, in small bowl, melt candy coating as directed on package. Dip one end of each stick into candy coating; dip or sprinkle with sugar crystals. Substitute chocolate candy coating for vanilla. 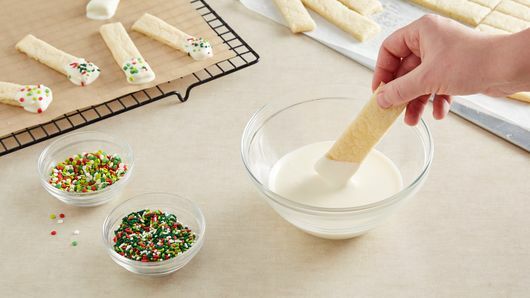 Make these cookie sticks special for any holiday by using other holiday sprinkles and decors.